Tripp is a high school senior with a knack for building trucks who makes an incredible discovery - a gas-guzzling creature named Creech. 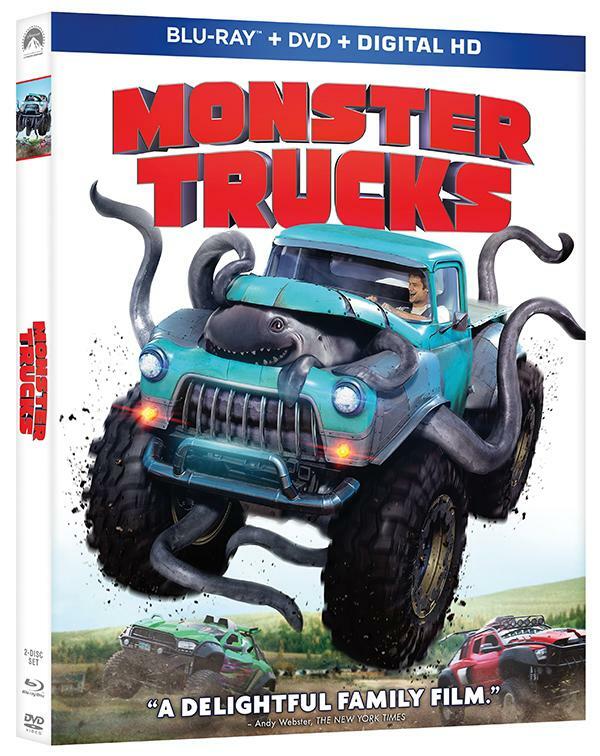 To protect his mischievous new friend, Tripp hides Creech under the hood of his latest creation, turning it into a real-life superpowered Monster Truck. Together, this unlikely duo with a shared taste for speed team up on a wild and unforgettable journey to reunite Creech with his family. 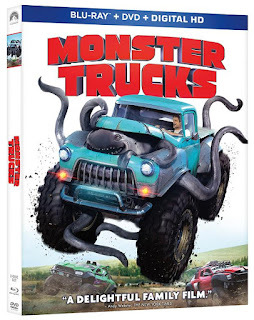 A fun-filled adventure that never slows down, MONSTER TRUCKS features a terrific ensemble cast including Lucas Till (X-Men: Apocalypse), Jane Levy (Don't Breathe), Thomas Lennon ("The Odd Couple"), Danny Glover (Lethal Weapon), Amy Ryan (Central Intelligence) and Rob Lowe ("Parks and Recreation").